According to statistics, almost 30% of the world’s population is either obese or overweight, but only few of them go for a radical change in their habits, appearance, and lifestyle in general. Some people manage to lose extra pounds and inches even without a personal trainer and strict diets, while others can spend years of enormous efforts to achieve same results. However long and tough this path is, the result is totally worth it. We chose photos of 12 people, who set on changing their lives for the better and stunned everybody with their transformations, even friends, and family. 1. 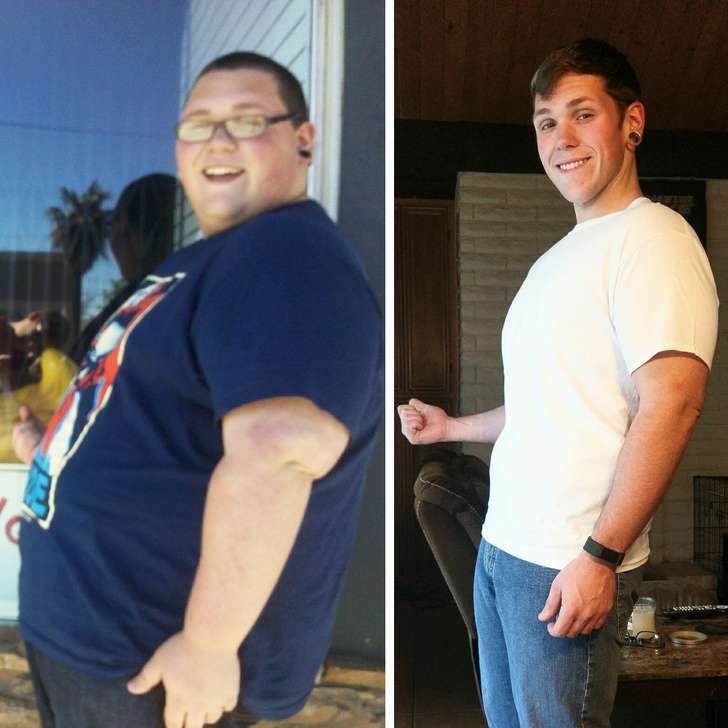 Not only has he lost weight – he became a coach. 2. Starting a family is a powerful motivation to transform! 3. In 5 years this guy lost almost half his weight, gaining charisma and charm instead. 4. 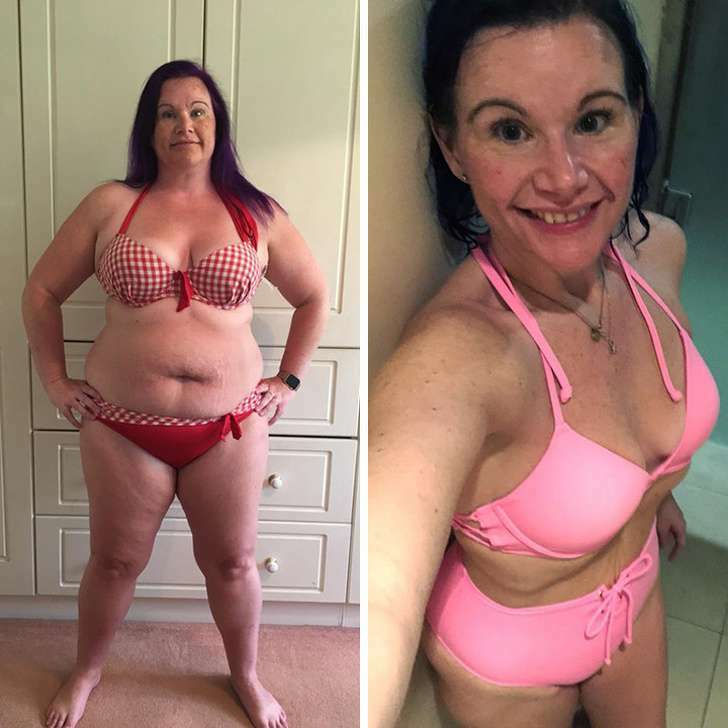 Dropping 188 pounds, the girl didn’t expect what a beauty she would become. 5. The difference between these photos is only 8 weeks. Unbelievable! 6. Losing some 137 pounds did the trick! 7. Support of the close ones is vital for any radical change in life. In 5 years the son became a real macho-man, and the dad even looks much younger. 8. A handicap didn’t stop this charming girl from losing 55 pounds in 3 years. 9. Minus 220 pounds in 2 years. Absolutely incredible! 10. Difference between the photos — 200 pounds. Looks like two different people! 11. This smiling girl has found her real beauty. 12. It seems like along with losing 116 pounds this woman got at least 10 years younger! With own example, these people showed that all you need to change your life for the better is to believe in yourself and steadily work towards your dream. Whose transformation impressed you the most? Share your thoughts and your own weight loss stories in the comments!